Today's idea is a little card called a "double card". Saw this card online and thought it was so cute, I thought I would share it. Click on any photo to make it larger to see detail. This is the card closed. 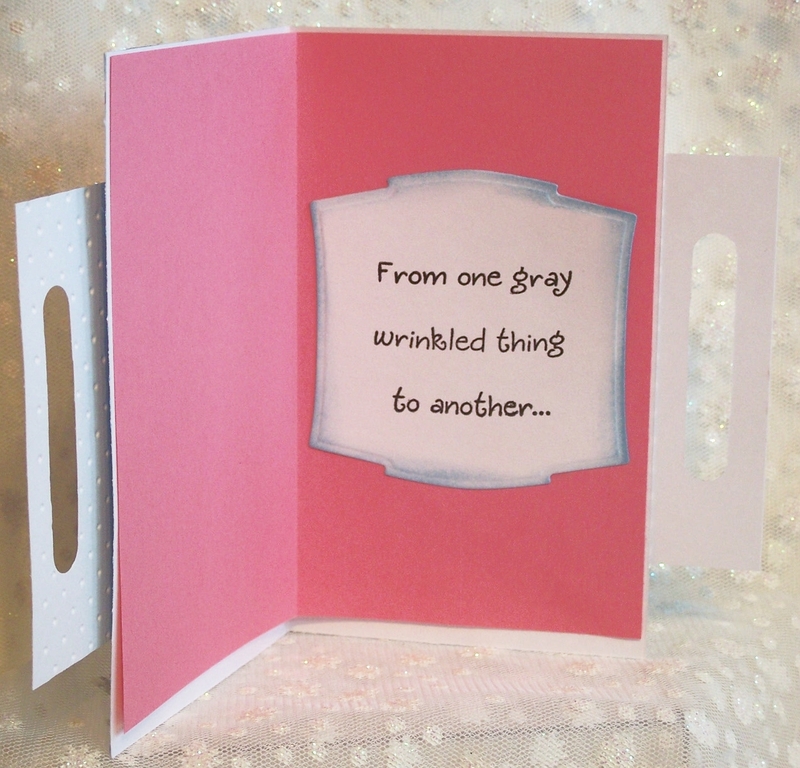 This is the card with the first layer opened. 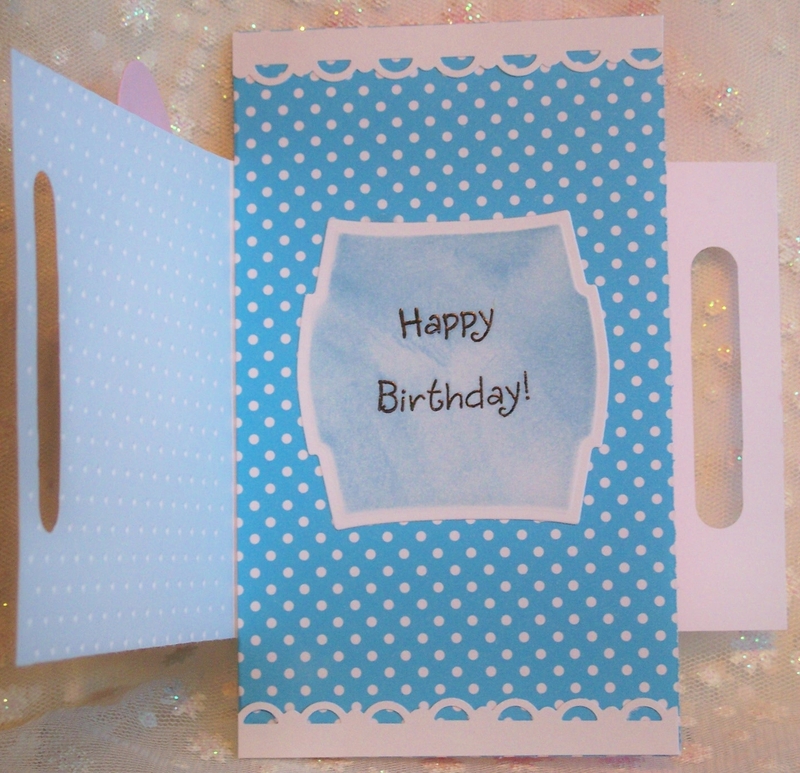 This is the card with the second and final layer opened. You start with two pieces of card stock for the card. how to put this card together. 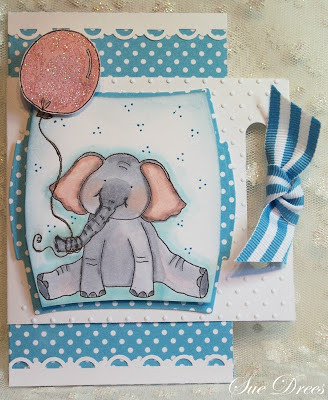 Love this sweet little card idea, hope you do to. Such a fabulous card design. I love the cute image and brilliant sentiment! What a fun card. I love the blue polka dots and the color on the "other" inside. Thanks so much for the link. Donna does such cute items, huh? Have a great week, give kisses. super cute and wonderful card Sue. Too creative by far! I found the pink interior a surprise, but a happy one! Love the card and its most interesting folds.